NIght of the Living Dead - Rank S for SCARY! 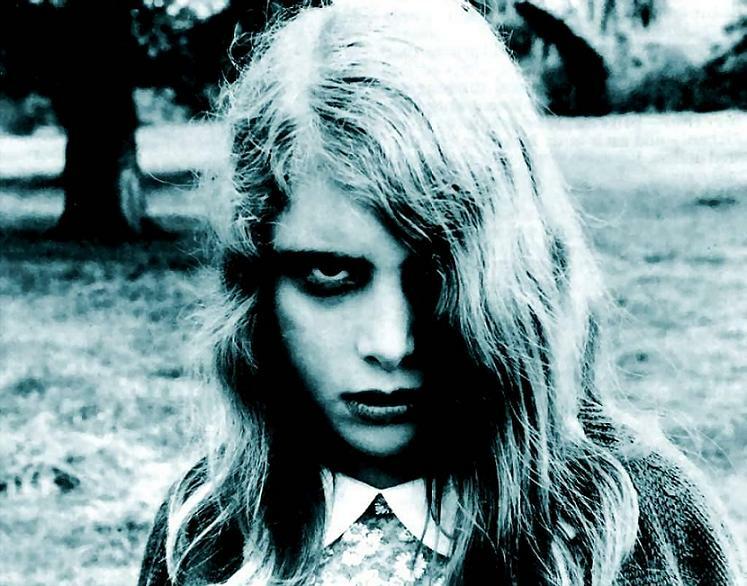 In the summer of 1967, near a rural farm town some 30 miles north of Pittsburgh, a trio of young filmmakers began filming a low-budget horror movie ($114,000) about zombies rising from the dead to eat the flesh of the living. I'm sure none of them had any idea that it would spawn a cult sensation, and that the writer/director, George A. Romero, would go on to make four sequels: Dawn of the Dead, Day of the Dead, Land of the Dead, and Diary of the Dead. They were just sick of making commercials for local TV stations. The film is a cult-legend to the degree that people will lie to your face and say that they've seen it just so they won't have a hard time swallowing their vodka martinis before they ride home on their trendy Vespas to their overpriced, roach-infested lofts off Sunset and Vine. The whole Dead series has a kind of personality all its own so it's real easy to forget how influential and well-made the first one really is. It's similar to how people often think of Rocky: the sequels are campy and absurd yet immensely entertaining, but the first movie is a true work of art. Consider its basic elements: 1) a menace threatens to devour (literally) our heroes so 2) they must band together and 3) barricade themselves if they are to 4) figure out a way to defeat this mysterious horror and 5) survive. I can think of at least one major movie off the top of my head that follows this fundamental formula: Aliens. A menace threatens to devour (and impregnate) our heroes so they must band together and barricade themselves (with as much munitions as they can carry) if they are to figure out a way to defeat this mysterious horror ("I say we nuke the site from orbit – only way to be sure.") and survive. The tension is palpable in these movies because they're done right. Dead was filmed in 1.33 aspect black and white which gives every scene a claustrophobic feel and makes every drop of blood look as deep and as black as oil. When the movie came out it was widely panned for its gore and its obvious subversive themes. The movie may have been made in the late 60's but I still squirm when the little girl comes back to life and stabs her mother to death with a gardening hoe – a little matricide with your zombie movie anyone? The choice to make the lead protagonist a strong black man was an instantly recognizable nod to the counter-culture movement of the time. I can already envision a theater full of stuffy white people collectively squirming as the black man (Ben) clocks the hysterical white girl (Judy), knocking her unconscious, and *gasp* loosening her coat so she'll be more comfortable lying on the couch. I also couldn't help but notice that there were no black zombies – they were all white. And if you're still not convinced of the running racial commentary then the ending should knock you right over. Tuesday's DVD release features the standard bonus content including a rare recorded interview of Duane Jones, the black actor who played the lead. It was recorded for the movie's 20th anniversary in 1988. He passed away in July of that year. May he rest in peace.